Adze created from stone. (altered andesite)Toki/adzes were used for many tasks. 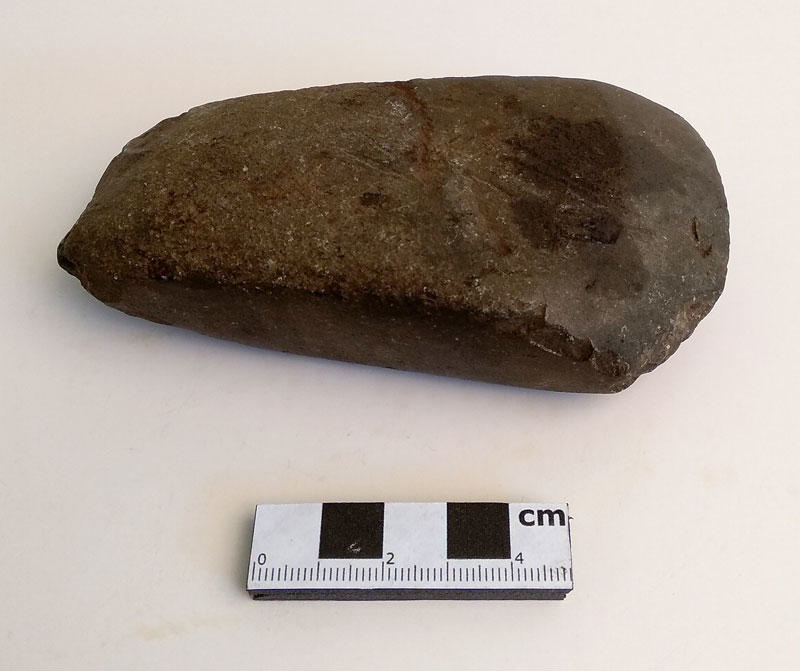 They were attached to a kakau (wooden handle) and used for working timber. A stone toki with a shiny face, back is still rough with a crack across centre. Poll (top) has a chunk missing.